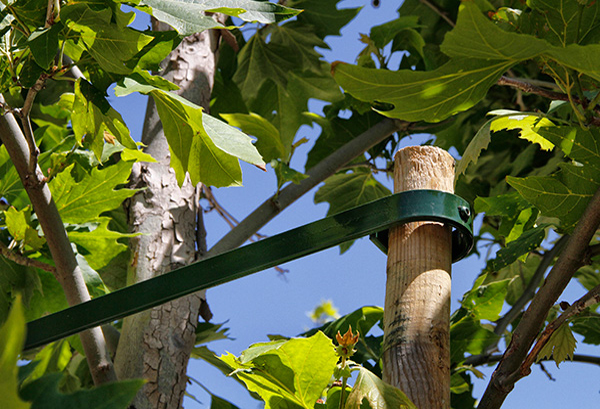 These are the Green Sleeves Tie Sleeves—the basis for our revolutionary tree staking system—used with our 2, 3, and 4 stake systems. The following slides show our 3-Stake System. 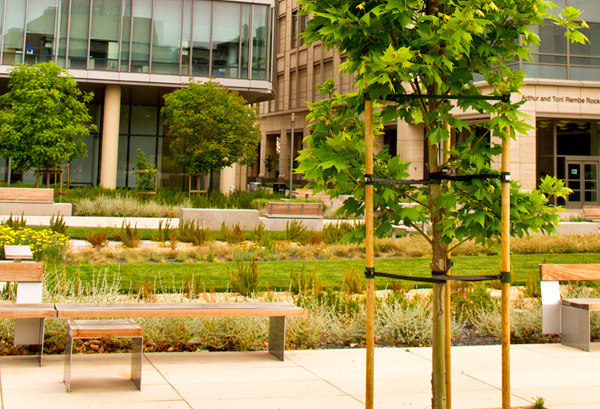 A newly planted tree with our 3-Stake System. Weather and size of tree dictates the need for 3 or 6 tie sleeves. 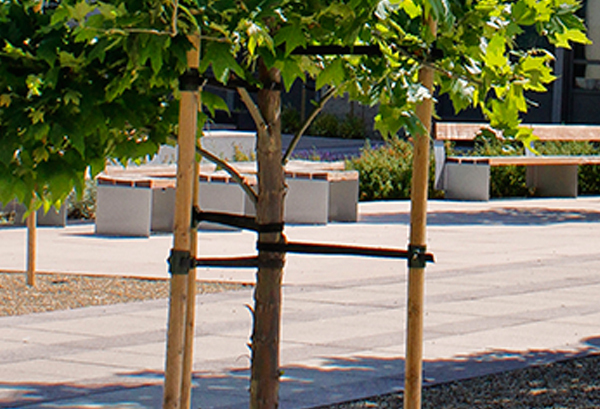 The 3-Stake System, 3-Stake Cross Brace at top level consists of welded center ring and two welded side rings. 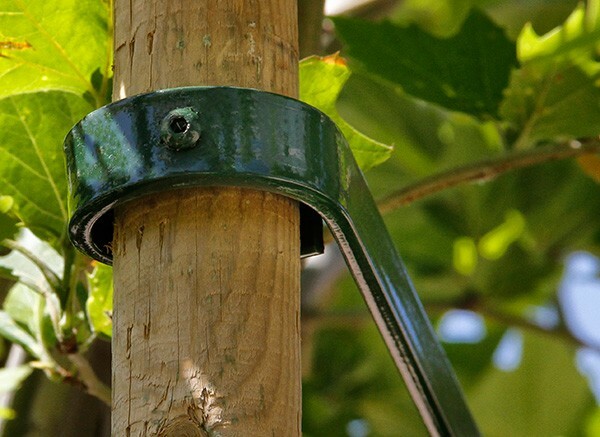 This holds the stakes securely, assures that stakes do not move, loosen or injure tree. 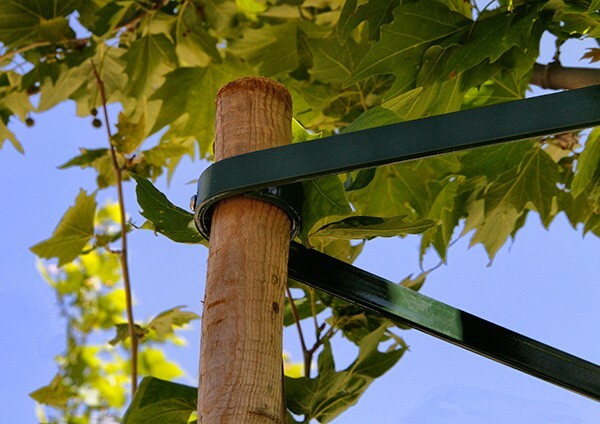 The brace with welded rings slip easily over your wood or metal stakes and secure with a ¼” x .20” stainless steel allen bolt. One of two side adjustable scrolled rings. A close-up of side adjustable scrolled rings. 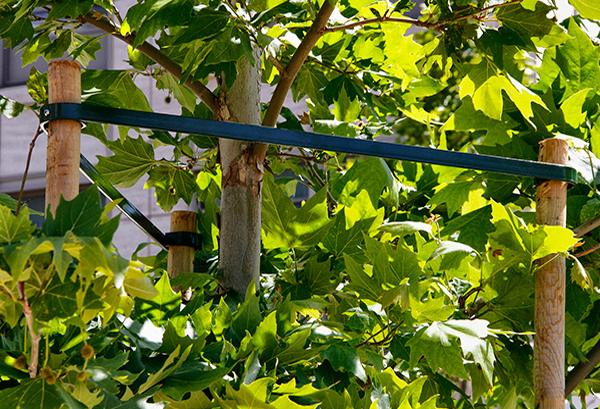 Under the top brace, either 3 or 6 Tie Sleeves (shown here) are used to keep the tree straight as it grows. 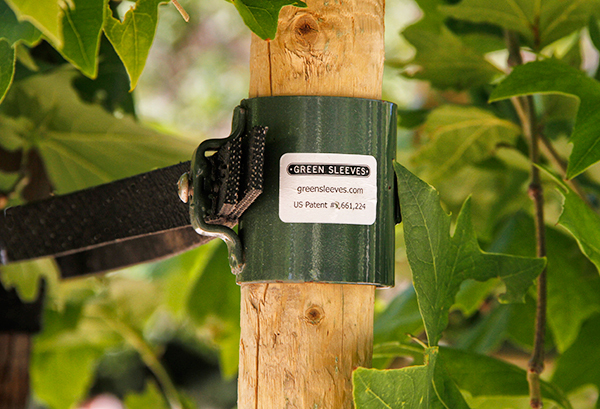 The Tie Sleeves are easily tightened with a stainless steel allen bolt and can be untightened and moved to keep the ties at optimal place for support as the tree grows. 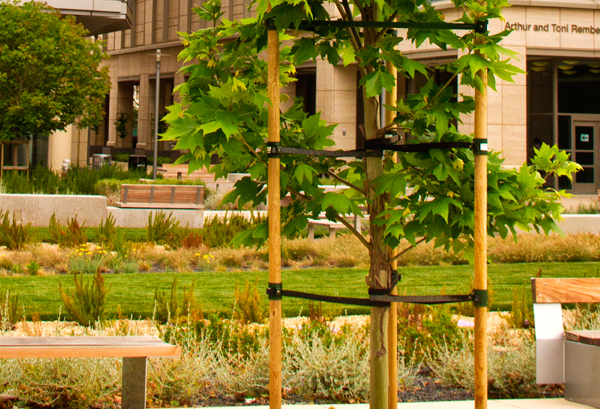 The movable Tie Sleeves keep the tree strong and upright. 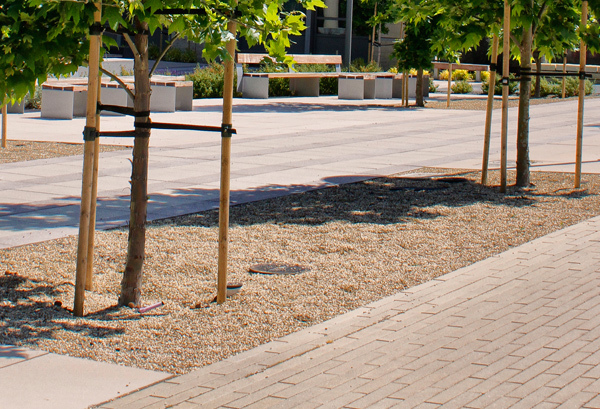 Trees ready for months of steady and secure growth.